With a popular restaurant and cosy bar, Kings Croft Hotel offers free parking and free Wi-Fi. Situated just outside Pontefract, the hotel is a 10-minute drive from Junction 32. The individual rooms at Kings Croft each have a work desk and a TV with satellite channels. All rooms have fresh, traditional decor, and feature a seating area and tea/coffee facilities. Set in a historical building, Kings Croft Restaurant serves a modern British menu and world wine list. The bar offers light meals, real ales and traditional carverys, and cooked breakfasts are served daily.Set in 8 acres of grounds, Kings Croft Hotel is surrounded by beautiful West Yorkshire countryside. The M62 motorway is a 5-minute drive away, and Wakefield can be reached in 15 minutes’ drive. 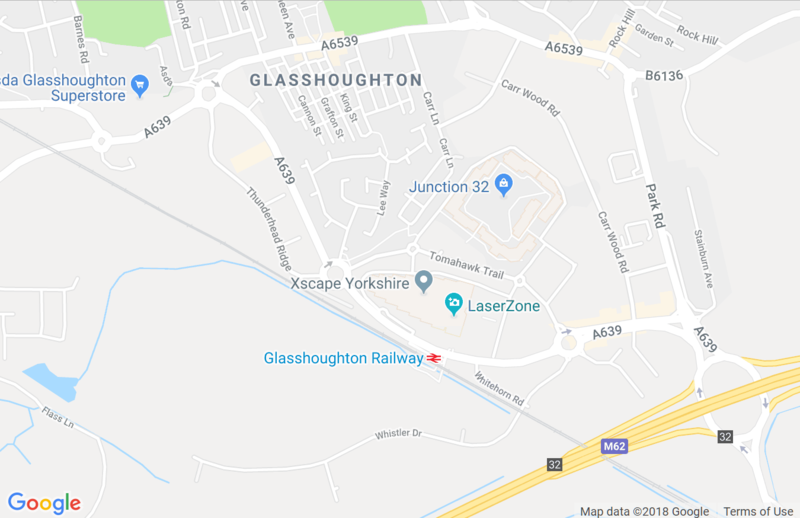 Premier Inn Castleford is a just outside Junction 32 shopping centre, and a 5-minute drive from Castleford town centre. The hotel has its own restaurant and bar, free parking and bedrooms equipped with useful facilities and very comfy beds. Some rooms at Premier Inn can take 2 adults and up to 2 children (under 16 years). The 2 children also get a free full breakfast when accompanied by an adult eating a full breakfast. The full all-you-can-eat breakfast has the expected cooked items, including vegetarian sausages, as well as a wide continental selection. Situated just 5 miles from Castleford, Best Western Plus Milford Hotel offers rooms with free WiFi access and private parking facilities free of charge. The property is 30 minutes’ drive from York and features a 24-hour front desk, as well as an on-site restaurant and a bar. Rooms at Best Western Plus Milford Hotel boast contemporary design and come with a flat-screen TV with freeview channels and speakers linked into the bathroom. They also include a work area with a writing desk, as well as a private bathroom fitted with either a bathtub or a shower and a hairdryer. Fine and casual cuisine are offered at the hotel’s award-winning Watermill Restaurant, where a wholesome breakfast is served every morning. Breakfast can also be served in the guest rooms upon request. A variety of drinks and snacks are also available in the bar throughout the day. Located on the A63 between Leeds and Selby, the hotel has easy links with the A1(M), M1 and M62. The property offers a complimentary electric car charging station for guests. Only a 15 minute drive from Junction 32, Oulton Hall is an 18th-century mansion and has award-winning cuisine, a spa, and a 27-hole championship golf complex in its grounds. There is free WiFi, free parking, and Leeds Train Station is 5 miles away. The hotel offers a warm Yorkshire welcome. Rooms also feature a flat-screen TV with cable and some Sky channels and facilities for making tea and coffee. The Claret Jug restaurant serves wholesome meals, and has stunning views of the golf course. The Calverley Grill has 2 AA Rosettes, and offers fine Yorkshire dining. Oulton Hall also boasts a Nike Golf Academy, offering personal tuition and a state-of-the-art driving range. The luxury spa has 10 treatment rooms, a fitness studio and fully equipped gym. Situated on the edge of the beautiful city of Leeds, this welcoming hotel offers 4-star facilities including an indoor swimming pool and is well place for exploring the city’s many attractions. Holiday Inn Leeds Garforth is easily accessible and convenient for exploring Leeds and the rest of Yorkshire. The M1 and M62 motorways is within easy reach of the hotel. Complimentary for guests, the Triangle health and fitness club with indoor pool, sauna and gym is perfect for unwinding. Get to Leeds and York with ease and appreciate a well earned comfy rest on your travels in a welcome nights pitstop. This moto services hotel is situated on the A1 a few map clicks away from the very heart of Pontefract. Free parking and is available for guests and checking in the rooms will show there's more than enough there to add an extra layer of comfort. Sink softly into a plump King size Travelodge Dreamer Bed by Sleepeeze where you can relax and enjoy a luxury night's sleep, or alternatively enjoy spending some time online tapping into free WiFi.